Luckily, putting the customer first, is already at the center of many organizations’ digital strategy, because technology has already transformed consumer habits and expectations. What needs to happen in the background to make this possible though? There is lots of talk about Digital Transformation and how it changes the way a business interacts with its customers, as well as the importance of providing a consistent omnichannel experience. 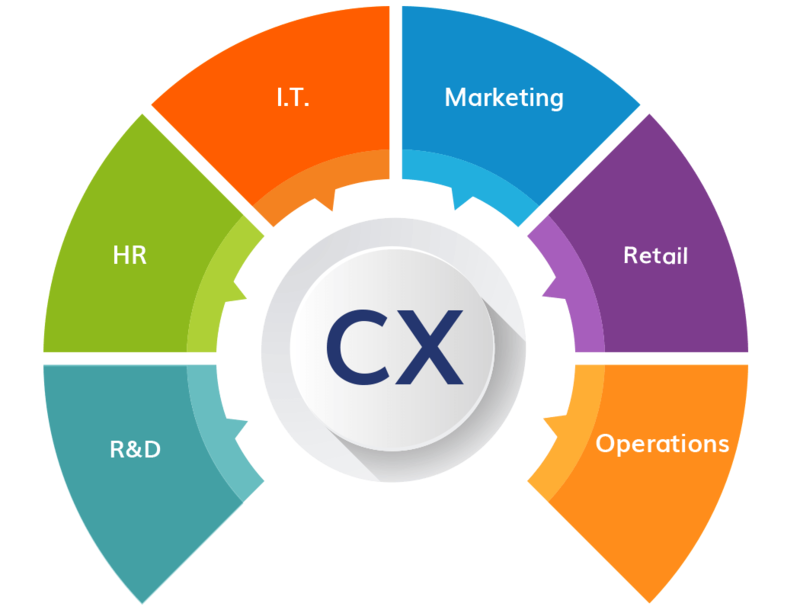 This would be easy if we could all start from scratch and buy a shiny new CX system, but in reality we have legacy systems and processes that are not so easy to change. 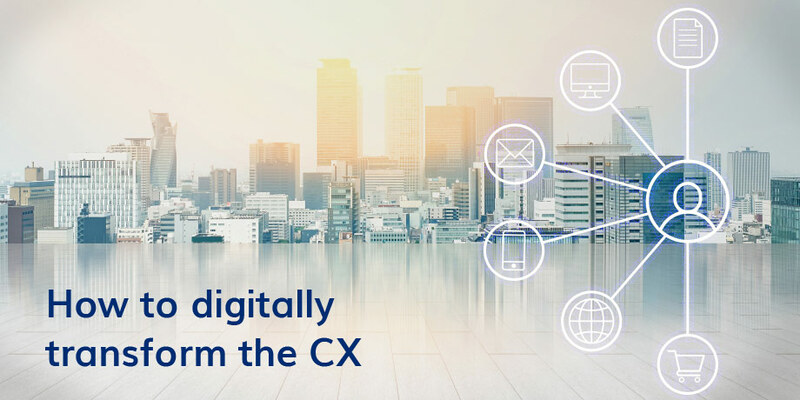 Where can you start with digitally transforming the CX? This is not the time to bolt new solutions on top of whatever you have. You need a “Digital First” approach that starts from the top. Digital transformation is a holistic change that also affects the core of the business. Some companies are appointing Chief Digital Officers (CDOs) and making other c-level changes to increase digital transformation efforts. You need one! And everyone in the organization needs to know what it is. According to research from the IDC, global digital transformation spending will reach $1.7 trillion (R22.5 trillion) by the end of 2019 – a 42% increase in spending since 2017. “The Only Thing That Is Constant Is Change” – There is going to be a lot of organizational change, so you’ll need to get good at change management and create a culture of adaptability. Without a holistic CX and Digital Transformation vision, departments and divisions will continue to work on their individual mandates and goals. Pinpoint interdependencies between processes and operations across the company and redefine processes and operations to facilitate a single view of the customer. Legacy systems are seen as the ’achilles’ heel’ of digital transformation. You’ll need to adopted a unique approach, because modernizing or replacing is not always an option. Build on top of – If the legacy system is still meeting the business requirement, leave it as the foundation and overlay the next generation platform on top of it. Middle ware / Wrappers – Expose business logic (which is implemented deep within the legacy systems) to the surface, but at the same time retain the stability of the legacy system. Application program interfaces (APIs) – APIs can expose functions of the legacy system to new systems. Learn to experiment with innovations quickly and don’t be afraid to fail, but fail fast. With so many emerging technologies you’ll have to quickly test and verify if the “latest and greatest” adds any value to your business and customers. The purpose of a chatbot can be serious, fun or functional and they are becoming a very popular self service option. Big Data, fueled by Internet of things (IoT) is powerful on its own and so is artificial intelligence, but together they are the perfect team of technologies. Your key to effective digital transformation – Artificial Intelligence promises to not only improve the customer experience, but also change the way businesses operate. Eliminating lines is a huge step forward for theme parks’ customer experience. Macy’s is testing a mobile tool using artificial intelligence that lets shoppers get answers customized to the store they’re in – like where a particular brand is located or what’s in stock – something they would normally ask a sales associate face-to-face. Bank of Tokyo-Mitsubishi, showcased a robot bank teller in the hope that the multilingual robot will help foreign customers during the Tokyo Olympics in 2020. Starwood introduced their newest staff member at an Aloft hotel in Cupertino – a robot named “Botlr,” who checks in guests and delivers amenities. Don’t forget cyber security. Nothing will ruin your reputation and customer loyalty faster than a security breach. As you add new digital technologies, processes, partners, devices, and data, there are ever more interdependencies and risks to address. Underpin all the transformations with security. Include risk managers and security leaders in conversations about new product and service development, especially those taking advantage of emerging technologies. Do you need a partner to help drive your digital transformation? Is this a Striata Reader related query? By submitting your details via this form, you are consenting that we receive and store your information for the exclusive purpose of contacting you. We will not share or publish your information or process it for any other reason. Once your request is fulfilled, we will either delete your information or request your consent for further processing. Did you enjoy the read? Then be sure to subscribe to our blog to receive more great posts from our expert bloggers. By submitting your details via this form, you are consenting that we receive and store your information for the exclusive purpose of sending you email communications. You may stop your email subscription at any time by using the unsubscribe link provided in the footer of our email communications. Thereafter, we will store your details as a record of the beginning and end of your subscription. Linda Misauer is the Head of Global Solutions at Striata and is responsible for technical Research and Development, Operations and Project Management for global initiatives. Linda previously led the Product Management of the Striata Application Platform before moving across to Striata North America as Chief Technical Officer (CTO). As Product Manager, her responsibilities included internal project management of the product development team, market research & product feature design, as well as the product lifecycle management and quality control. As CTO, Linda was responsible for all technical operations for North, Central and South America, including the Project Management, Support, Production and Data Engineering. 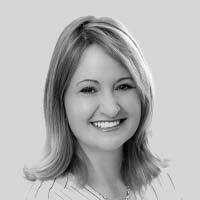 Linda has over 10 years of experience in the IT industry, ranging from video streaming solutions and website application development to electronic billing and messaging. Prior to joining Striata in 2002, Linda held the positions of Chief Information Officer at AfriCam, and was IT project manager at Dimension Data. Linda studied at the University of Natal - Pietermaritzburg and holds a degree in BSc, Majoring in Computer Science and Economics. Linda also has a Diploma in Project Management.